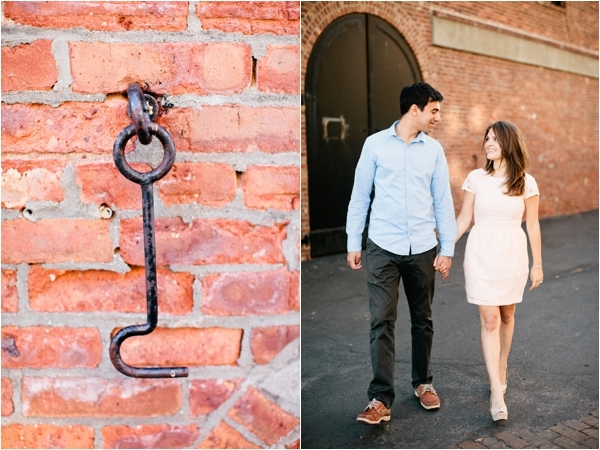 I just adore the feel and look of Brooklyn engagement session by Lindsay Madden Photography. The location, the outfits.. perfection. And is it just me or does the future bride-to-be resemble Natalie Portman? 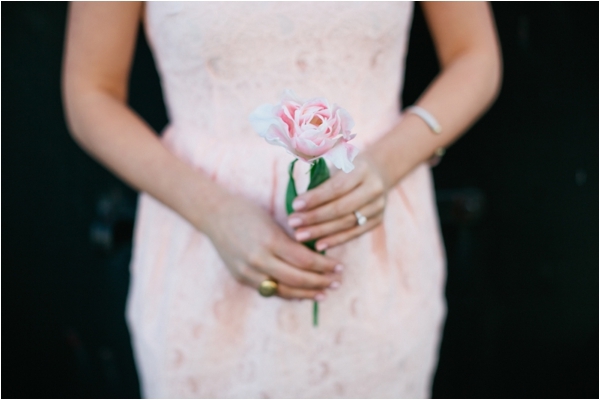 Thanks for sharing this shoot with me, Lindsay! 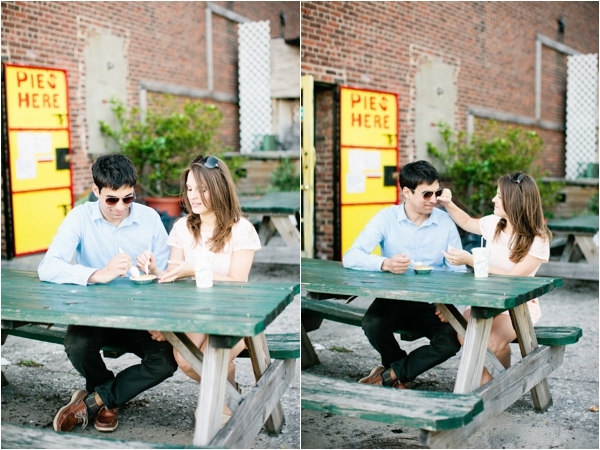 From Lindsay: Red Hook, Brooklyn is the quite the place! 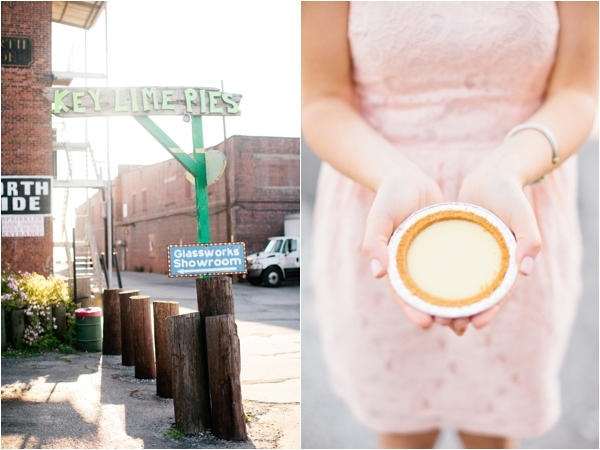 It's an old fisherman town with piers, abandon warehouses & home to a famous Brooklyn landmark, Steve's Key Lime Pies. 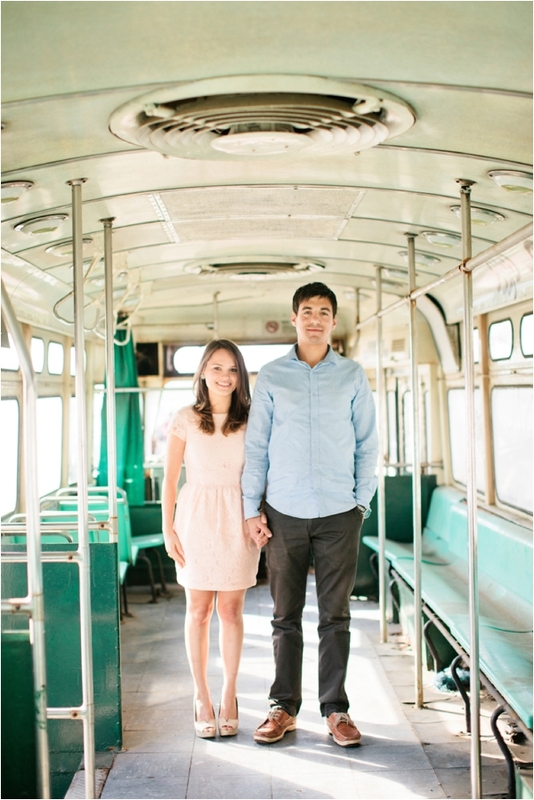 Jamie & Matthew love all things urban as well as the peace and tranquility of the water and therefore, couldn't imagine holding their engagement session any place else. I've lived in Manhattan for many years & never even heard of Red Hook so when Jamie and Matthew suggested it, I was super excited. It truly is a lovely place & you would never guess that we were only a couple of miles from Manhattan. 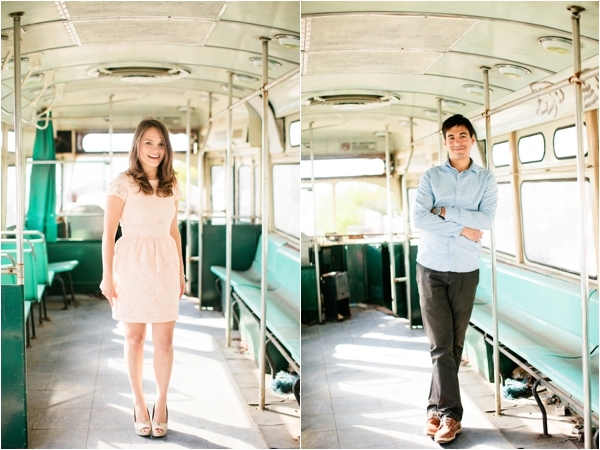 We started their session in an abandoned trolley car & then moved on to Steve's Key Lime Pies. The session was filled with beautiful early evening light that worked so well with Jamie's pastel pink H&M dress. I'm just so grateful that I got the chance to document Jamie & Matthew's engagement session as they are so in love and so excited to get married! 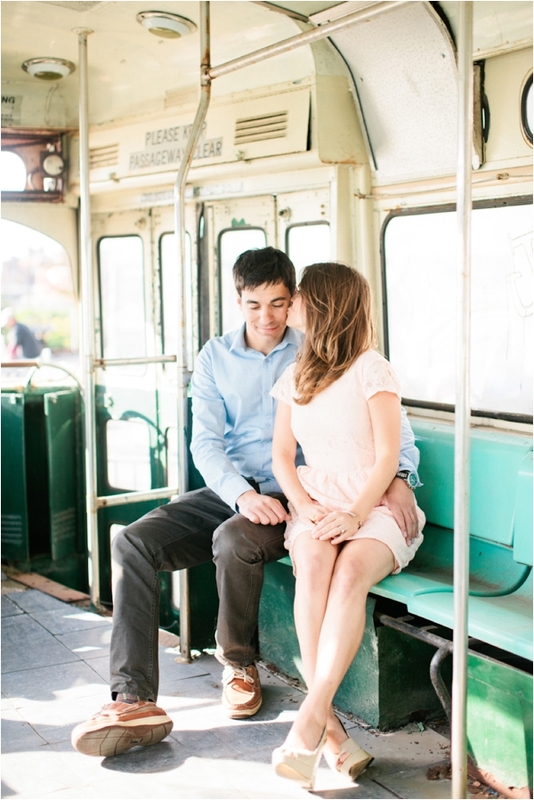 Jamie & Matthew are getting married this October at the Metropolitan Building in Long Island City and I know it's going to be a day filled with love, laughter & gorgeous details! We met in High School. We instantly had a connection and have been together since. We endured a two year long distance relationship when Matt was at college in Arizona. Once Jamie graduated high school she enrolled too, and spent the next four amazing years in Arizona together. Now we are living in Brooklyn and getting MARRIED! It was Friday the 13th! Jamie spent all of her summers at her grandparent's beach house on Gardiners Bay. Beach fires at sunset was a summer tradition. Once the house was sold, we continued spending time out east. In May we found the perfect cottage beach rental out in the Springs. Matt knew he wanted to pop the question on the bay during a beautiful sunset. As we always did, we went down to the beach, collected fire wood, put on some music, and set up to watch the sunset. It was truly a beautiful night. As the sun began to set, Matt got down on one knee in the sand and popped the question!! Jamie was completely blown away and said YES! We stayed celebrating under the stars until the fire was out. We have lived in Brooklyn for the past three years. We love the neighborhood Red Hook because its along the water, and has a lot of great restaurants and shops. We thought it would be a really fun and unique place to take our pictures. Our photographer Lindsay is absolutely amazing and so sweet. We are so excited to have her capture our wedding!